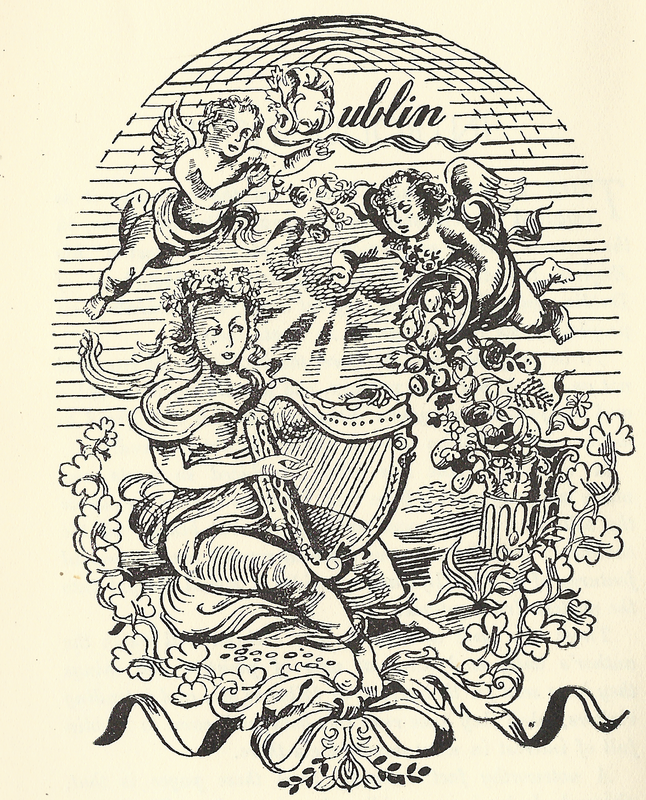 G.Ivan Morris – ‘In Dublin’s Fair City’ (London,1947) | Come Here To Me! « The Irish Jewish Museum launch a fundraising campaign. 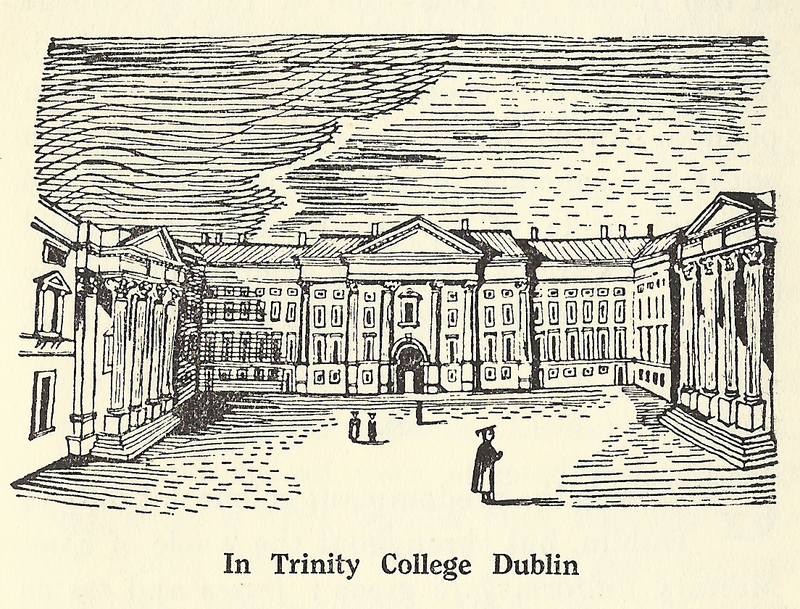 Recently, I did a brief post concerning John Harvey’s great 1940s book on the city of Dublin, which was halfway between a guide book and social commentary on the city. 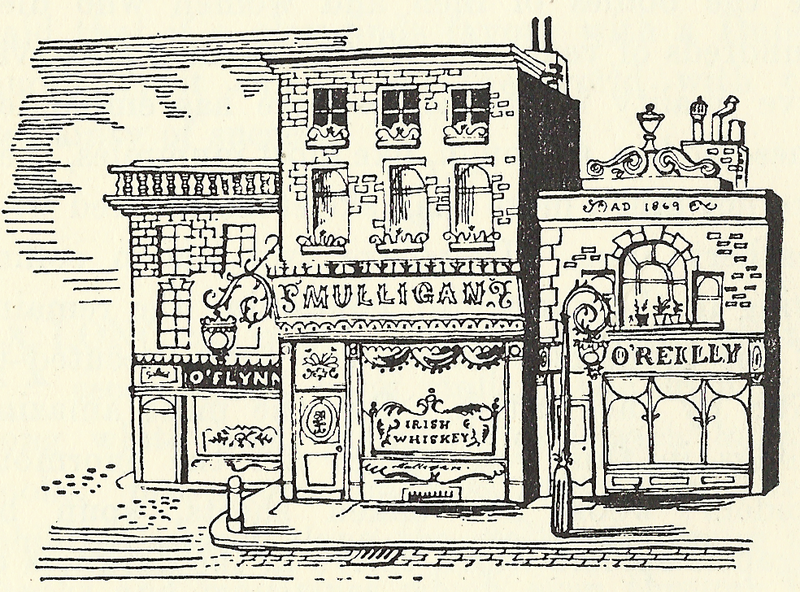 I thought G.Ivan Morris’ excellent ‘In Dublin’s Fair City’ (London, 1947) was equally deserving of a feature on the site. On arrival in Ireland many of one’s pre-conceived ideas will be shattered. The stage Irishman, who for years was Ireland’s only advertisement abroad, will appear as he really is – a complete figment of the imagination of ignorant theatrical people. Since women have broken loose and invaded the bars and lounges, it is growing increasingly difficult to find a man’s pub in Dublin where one may stand up to one’s pint and tell stories without having to glance nervously around every few minutes to make sure that there are no ladies within earshot. Many people wonder why he is allowed to remain there, now that Ireland is free, but the general feeling is that the cost of taking down the Pillar would be out of all proportion to the kick the Dubliners would get out of it, and so it remains. Morris gives an impression of a city in which cycling was a much more common place practice than today, noting that “the cyclists of Dublin are a sight to behold, especially during lunch hour and between five and six o’clock in the evening, when they appear in thousands amidst the traffic of O’Connell Street, and the numbers of them rival Holland and Denmark.” Little has changed in ways though, and he notes that a wave of cycle thefts has swept Dublin in recent times. Fantastic post. And the book seems to be beautifully written. I remember the sea of bicycles well. When the traffic was stopped the cyclists filtered up to the front and then took off like a swarm of locusts when given the nod. Brilliant! Might just take a look! G. Ivan Morris was my mother’s uncle, married to the youngest of my grandmother’s sisters. One summer (back in 1962), my mother, grandmother and I travelled by a Cunard ocean liner…they called them ocean liners in those days (ours was called the Ivernia) and visited him, and other relatives for the whole summer. Although it was 50 years ago, and I was only eight, I vividly recall that trip, and how much I enjoyed Uncle Ivan’s company. He was an enthusiastic amateur painter, and painted a landscape of Sugar Loaf Mountain, which he presented to my mother, before we left to go home. He and Aunt Mabel lived in a lovely home, filled with antiques, and surrounded by gardens. He gave me a child’s novel, which I still have. It was quite the summer, for me, and he and others in the family, made excellent tour guides, to us colonials from the continent. We never forgot his kindness to us, and as a young girl, it was the highlight of my life. Thank you very much for this comment! It’s the sort of thing we started the blog for. Great stuff.